1. Don't cry when dropping off husband. He's going to find us a place to live! His lack of a return ticket is a good thing! yay! HAPPY THOUGHTS! 2. Figure out a yoga routine. Or some kind of awkward ball exercise that preggos are supposed to be doing at this point. 7. Not ignore the giant bin of clothes in the second bedroom. 8. mmmm ... still don't do the dishes. I guess number six is important... sorta? Good luck to your hubby! Haha i eat cereal for breakfast, lunch, and dinner everyday. funny funny. #5, right on!! are you graduating from college? can i have your email so that i can invite you to view my blog? Aw... I can imagine dropping him off without a return ticket is scary but also SO exciting! So much going on in your life right now to look forward to :)And I can totally relate, when bf is out of town I find myself eating anything that takes less than 5 seconds to make... cereal, toast, ramen noodles, microwave dinners... yupp all the above. I didn't even know you were still in school! busy busy lady!! aww I hope you won't be alone for too long... DC is super excited to have ya here! Sydney! i just so happened to be shopping at Downeast in idaho falls and i got your EXACT forest green Hunter rainboots... for $5. i was so excited cause i could NEVER buy them for full price! just thought i'd let you know! Sad but so exciting! I know if so unproductive but just lose yourself in tv series's while he's gone. That's what I love to do. On to your outfit. Wow. Those colors together are stunning. And I'm in love with those shoes!! Pregnancy looks good on you! I'm a crybaby as well... sobbed in the airport when I left my boyf for 4 days! So dramatic. Oh my gosh this is the most wonderful outfit I have ever seen you wear. So cute! ahhh i LOVE your skirt and shoes! and you totally don't even look that pregos!! you're soo cute! Ahhh you're moving to DC? I just moved here after getting married a few months ago and I love it (we actually live in VA, but I work in the city)! What will you guys be doing when you get here? You and that little bump, so cute! Good luck on house hunting and don't get too lonely. You've at least got a little one to keep you company! It's your first mommy/son bonding time! You can eat junk food and watch silly movies together! I love this outfit! It's lovely like all of the rest. I tried yoga when I was pregnant it helped me feel better, but I was big on spin classes that's what you should try? Oooooh, so fun that you're moving to DC! I just moved here from NYC (this is my fourth stint living here). Secret gem neighborhood: Eastern Market. Shhh, don't tell anyone I told you. 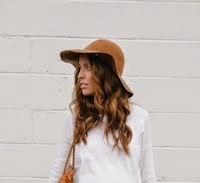 I love this outfit and I feel like your pregnant belly is how mine normally looks so I officially am inspired to diet. Thank you, thank you! Not sure baby will like homework for lunch but sure boy will be happy mommy gets her graduation dress, can't wait to see that! You're hair is so long, it looks beautiful. This outfit just suits your little belly so well. Good luck with that to do list and try not o miss husband too much, he'll be back. 7 is important... Love the pleated skirt! You are so cute. You're adorable, I love pleated skirts and seeing you in one makes me want one even MORE! i LOVE your outfit and your lipstick. you are just too cute! look at that baby bump grow! love that outfit! i definitely agree in eating all the homework. We used to live here and I really liked it: livethewellington.com. Be ready for sticker shock, as DC is expensive! We were paying $1,600 for a HUGE 2 bedroom apartment which is a really good deal there. They have a gym, outdoor pool, free shuttle to the metro, and only a mile away from the metro, bus in front of the door, and two blocks from the 16Y bus that goes into DC as well. We could walk to the Arlington Drafthous (movie + restaurant), karaoke spot, etc. I highly recommend you find a place in Arlington instead of DC or Maryland. So many things to do there! Yeah, I definitely know what you mean when husband leaves. My husband left last week to start grad school, and you are right, nutrition goes down the drain. But stay healthy for baby. Saturday mornings there is a Pregnancy Yoga class on campus. I've gone to regular yoga a couple times just to learn poses to do on my own at home. Love the pink lips, the skirt with the belt and number 5! I am loving the bright pink lips- they really make your eyes pop. I wish I could be so brave. Now I feel like I need some crepes, so thanks for that. i hope i look like you when im preggers. "Eat your homework." Hahaha... If only your homework were those crepes you're not going to be sharing. What a perfect homework assignment! Oh, hey. That skirt is awesome, by the way. & I hope your hubs finds an apartment/place to live stat! Hope your hubby finds a place to call home soon...I know it is stressful, but it always works out! PS I love how you can't even tell you are pregnant until you turn to the side. And that skirt is adorable! I love your outfit today!!! I just love how you are glowing! The skirt and the colors of your attire are so lovely. And my favorite was your last objective, to eat all of your homework. Hehe. hehe love the list - and cute outfit!! you hardly even look prego. you look fantastic!!! I really love reading your blog, lady! when i have to cook for myself, i usually just eat cereal for every meal too. or pasta. but with your little bump, you need more than that! also, you're moving now, but you're still in school? i don't understand. Eat your homework?? Are you a culinary student? Absolutely love your lipstick. It's such a fun colour! Sounds like a great list to me. Put husband to work! Those crepes definitely need some maple syrup though... uh oh, tempted to break out my own frying pan! Hey, skirt twinner! I have this skirt and LOVEloveLOVE it! I do love your spin on it though! Is he gone for a while? Fingers crossed that he finds a place for you guys to live! Love that skirt on you! Class and dishes are definitely overrated. But I'm excited to see that graduation dress! I love when you wear that pink lipstick and that grey pleated skirt is just perfect! Hope your time away from hubs goes much faster than expected! I know that can be tough. You have got to be the cutest pregnant woman ever. I like your list but I would add getting a prenatal massage: great for you and the baby! If you're looking to live in Northern VA, just a hop/skip/5min metro ride from DC - this is a great apartment building (and not just because I live here). 2 blocks from the Courthouse Metro, indoor/outdoor pool in a lovely neighborhood. i'm sure Ty will find a great place for you guys though!! yay for moving to DC!!! You look utterly, utterly adorable. "Eat all of my homework". BA HA. That's one way to make the baby smarter! so lovely! :) you look great! You look so gorgeous with that little belly! That is the cutest skirt! You make a very cute pregnant lady! Cute as a button! The muted tones of your outfit are just stellar. I went to check the Threadsence store for that skirt and (no surprise here) it's already sold out! Sydney, you trendsetter you! This outfit and your bright lips are just too adorable, not to mention that precious bump. Yea for a new home & wonderful things coming up in your life! It'll all go by so fast. Enjoy it all! DC is marvelous this time of year. But hot. and HUMID. so make sure your apartment complex has a POOL. Seriously, you'll thank me. :) Good luck! sydney you look gorgeous!! love this outfit! Oh I would love to make crepes! Strawberries & nutella with some whipped cream yum yum! ooooh I LOVE this outfit. so much. it's official. i prefer your bang-less hair. esp with the braids! Of course I don't know you but I can confidently say that I'm pretty sure you'll love DC! It's amazing out here! I'm originally from San Diego but I think I might prefer DC (for now......) Good luck with your move! DC? That's where I'm from, you're gonna love it! I like the still don't do the dishes number. You look great in that skirt, love it. you look amazing, syd! your hair has gotten SO long. eating homework would be awesome. and i second all of the comments about your hair. it is amazing. so jealous. I always look forward to your outfit posts Sydney, good to see you giving us a pose again! by the way, youre the most gorgeous pregnant gal ive ever seen!!!!! sounds like a very productive to-do list. You are so cute and so much fun to read! I love it! You have got to be the MOST glamorous pregnant women ever!Your pictures are beautiful and I love how you put an outfit together - you have such a classic sensibility. the pleated skirt looks gorgeous on you and i love the shoes you paired with it! enter my $100 Fresh Faces Giveaway! You're just radiant! Just stunning! Have a fantastic week darling. #10 made me laugh! You look adorable! You look so graceful in these pics--love! I looove crepes! Savory with cream cheese and bacon or sweet with blueberries, cream, and a bit of syrup! gaaahh! heaven! It's sort of adorable your pregnant and still have to worry about homework and class. I hope Ty finds a great home for you guys, can't wait to see some of it when you're ready to share:) Awesome outfit and the bright lipcolors are really working for you!! you freakin rock this outfit. very nice choice. I am having a give a way on my blog! Ruffle baby legs! You are just absolutely too precious! Syd, you look really beautiful. I mean it. not to sounds creepy at all..but I totally saw you wearing this on sunday!!! you and your hubby walked by us in our church hallway. You looked so amazing as always :) my favorite part is the skirt! PS - Blush and Gray = one of my fave color combos! Adorable picture... what lipstick color and brand are you wearing? I love it! Love your outfit in these photos! Your lipstick is fabulous too! The glow of pregnancy suits you. The crystal city ward is awesome! You should tell him to look in that area if he can. Good luck with everything! All of those sound really good except #10. Not sure it is a great idea to eat your homework. Two of my boys got their law degrees and worked in DC. They loved it and went to everything historical...one sightseeing trip every open weekend. I love the east and "new mommy" will too! You look so cute in this outfit.